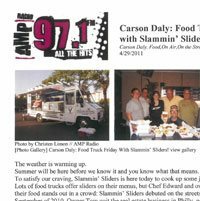 SLAMMIN' SLIDERS is a great addition to the growing number of upscale food vendors of Southern California. 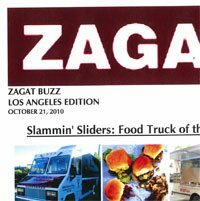 A Venture owned and operated by California Crazy Chefs Catering. 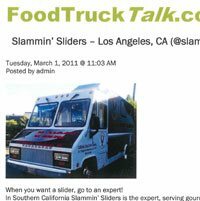 We will be hitting the streets in September 2010. Follow us here on our Social Page. 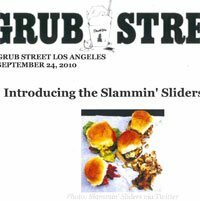 SLAMMIN' SLIDERS will be serving gourmet sliders utilizing Imperial Valley Kobe beef, Contessa Shrimp, Petaluma Poultry Farms chicken and Niman Ranch pork products. 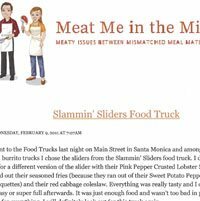 Visit our Menu page to view our opening menu.